The “call” came five months later in January 2013, letting us know that we had been selected. Even more surprising, our daughter was going to be born the next day! We raced to the airport and flew to Los Angeles. We met our daughter’s birth mother and spent the night in the hospital. The next morning, Leah was born. The universe shined upon us that day. We are forever grateful to Leah’s birth parents and recently met her birth mother for an amazing afternoon together. Being a father is the most rewarding experience of my life, and my family and I are truly blessed through the miracle of adoption. But, I know we were lucky. This all happened before NVIDIA offered employee adoption benefits, and we could afford it. I wanted to make sure all our employees could share in the joy of parenthood regardless of how they choose to build their family. I wanted to be that advocate for NVIDIA employees. 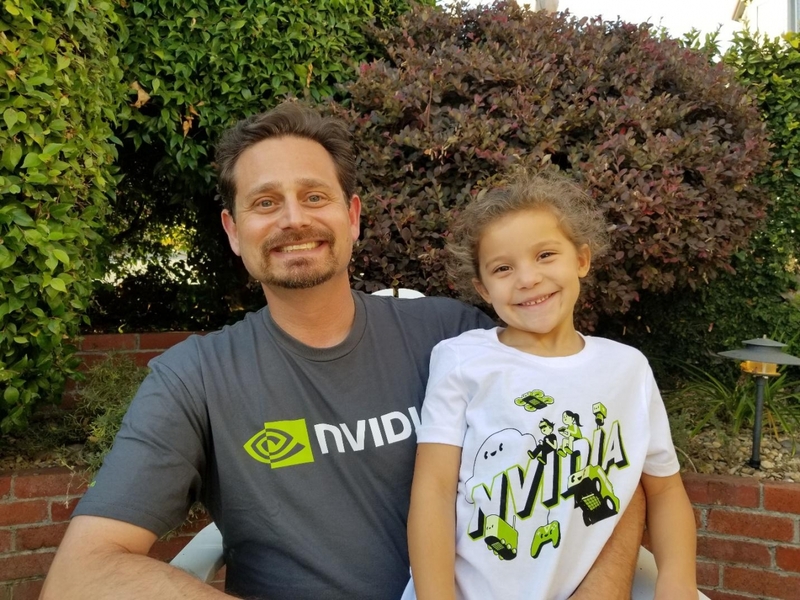 That’s when we helped establish NVIDIA’s adoption assistance program at $5,000 in 2016. The company raised the benefits to $10,000 the next year and, in 2018, made them unlimited. Seeing what other companies in our industry were offering helped us to know what would be fair. We’re fortunate to have a CEO and leadership team who want to support employees in building their families, whether through traditional medical support, IVF, egg freezing or adoption. We didn’t want our programs to make an unintended value statement, implying support for one way to form a family over another. We looked to harmonize the programs. I’m incredibly proud that my company supports all families and that we strive to do so in an equitable manner. Learn more about how the Dave Thomas Foundation for Adoption can help your organization become an adoption-friendly workplace.